Millions of Americans struggle to manage their complex finances, even with countless budgeting tools that exist to make the process easier. The myriad of features included in these kinds of tools can even add to the complexity, and they often don’t account for the limited time and attention that people experience in real life. That’s why we’re excited to unveil a new concept that paves a path toward helping Americans streamline their increasingly complicated financial lives: the Feedback Card. 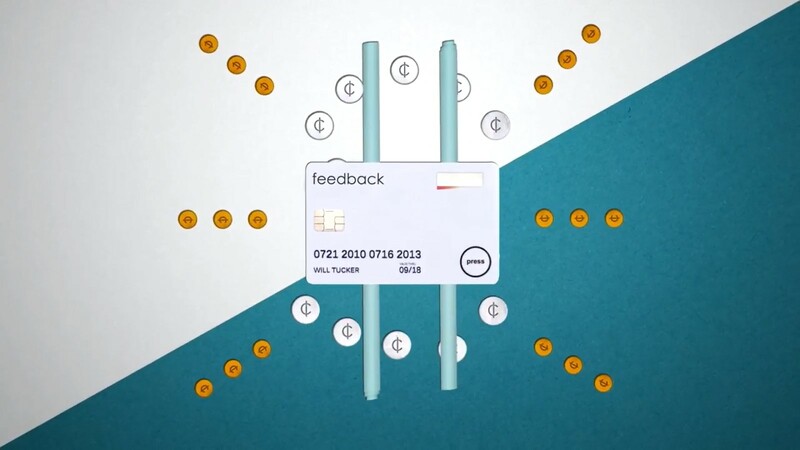 The Feedback Card is a financial concept that combines a trusted payment platform with the technology of a smartphone app and behavioral science to make it easier than ever to stay on track with spending. The tool, built for those of us who want some feedback on their finances but don’t have hours a week to spend on a personal budget, has already received overwhelmingly positive initial reception among consumers who user-tested a working concept version in New York and California. In fact, people asked us when and where they could buy a Feedback Card before we had even finished showing them all of the card and app features. One reason people found it so useful is the Feedback Card and app are built on recent findings from behavioral science and economics, including a 2014 study showing that providing people with feedback on receipts can help them take control of their finances. The team leading the development of the concept was advised by leading behavioral scientists, including Eldar Shafir of Princeton University, one of our co-founders. As for security, the Feedback app accounts are linked only to a unique chip on an individual Feedback Card, safeguarding personal information. An available, easy-to-use security mode ensures personal information is protected at all times. Feedback Card is currently partnered with NID Security, a global display card manufacturer. And unlike most new innovations in the financial services world, Feedback is making the physical card and app concept and its development open-source and available to any bank, credit union, card issuer, or other financial services organization interested in bringing a version of the innovative tool to their customers. To learn more, check out an in-depth overview of the Feedback Card here. This exciting new concept is just one of the steps we’re taking to improve the financial lives of people everywhere at ideas42. Check out some of our other work in this space as we reimagine financial inclusion, build financial stability in the workplace, and strengthen financial health for all through behavioral science.